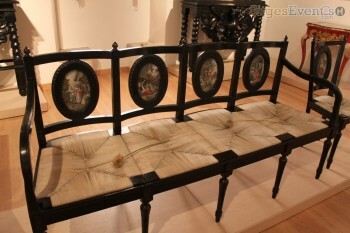 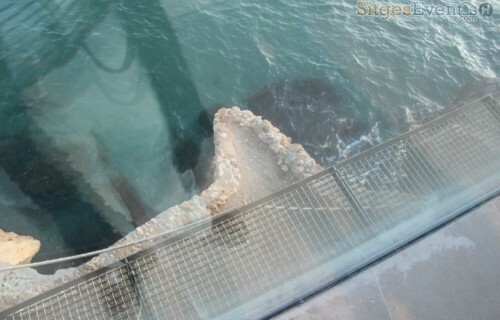 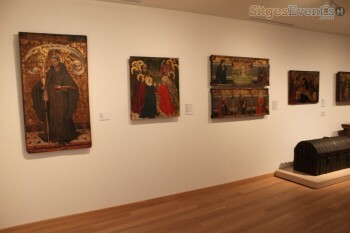 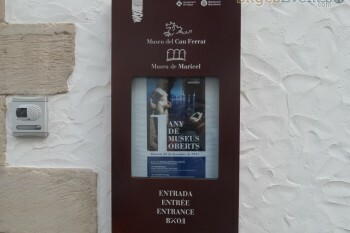 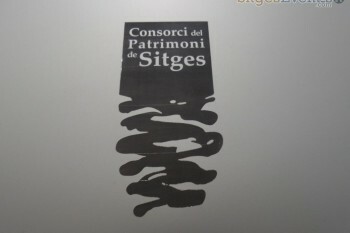 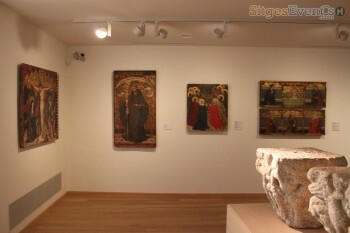 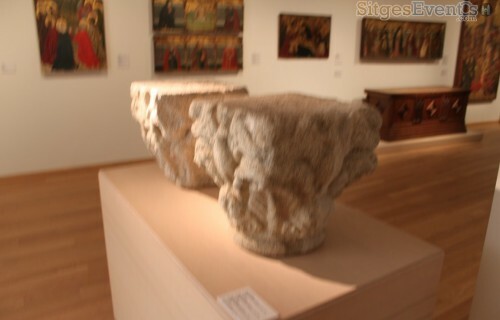 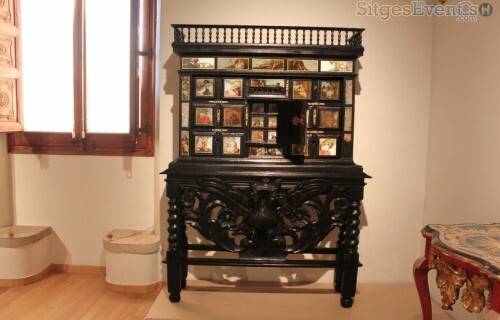 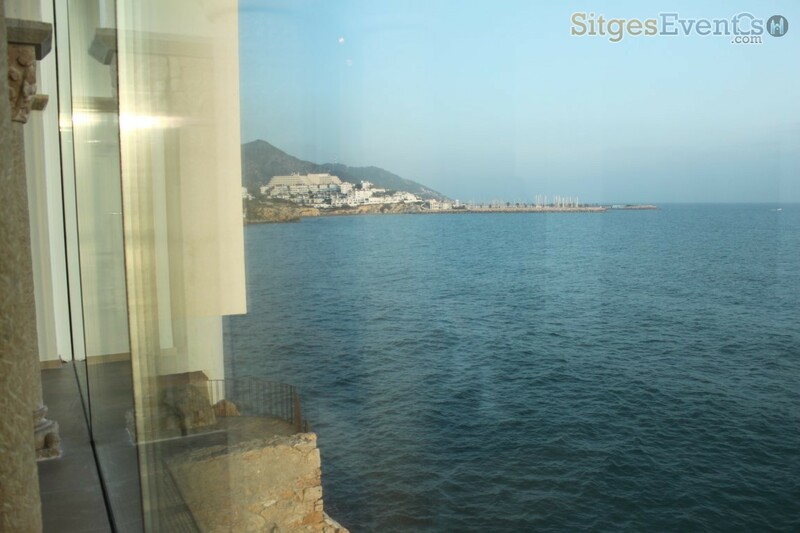 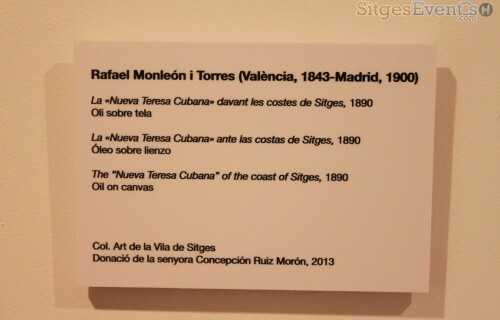 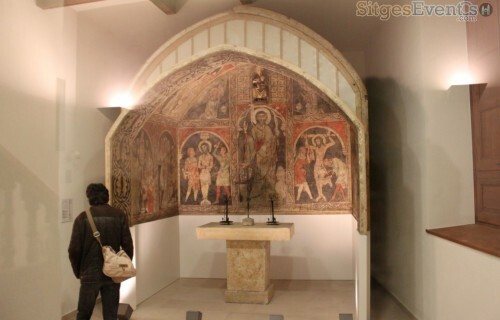 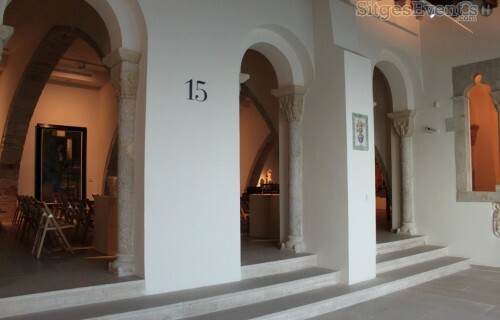 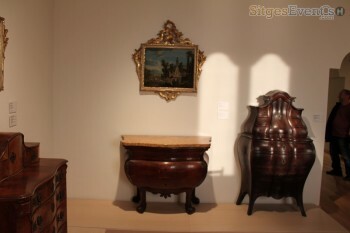 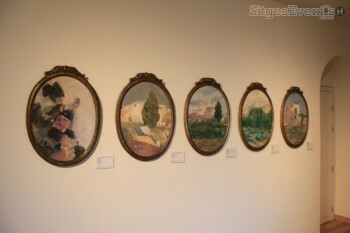 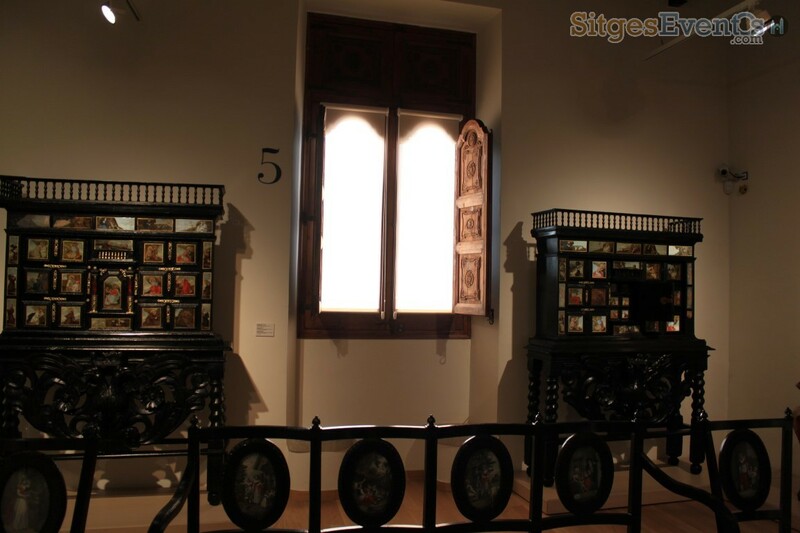 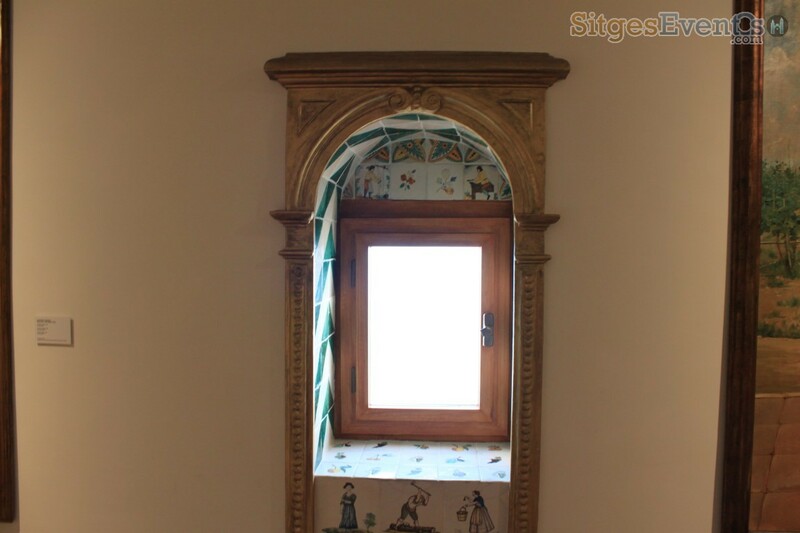 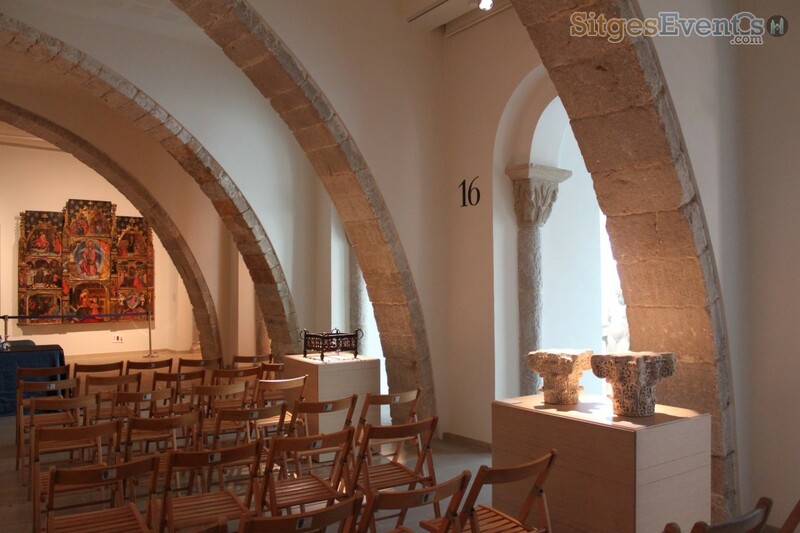 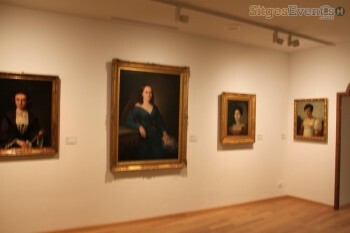 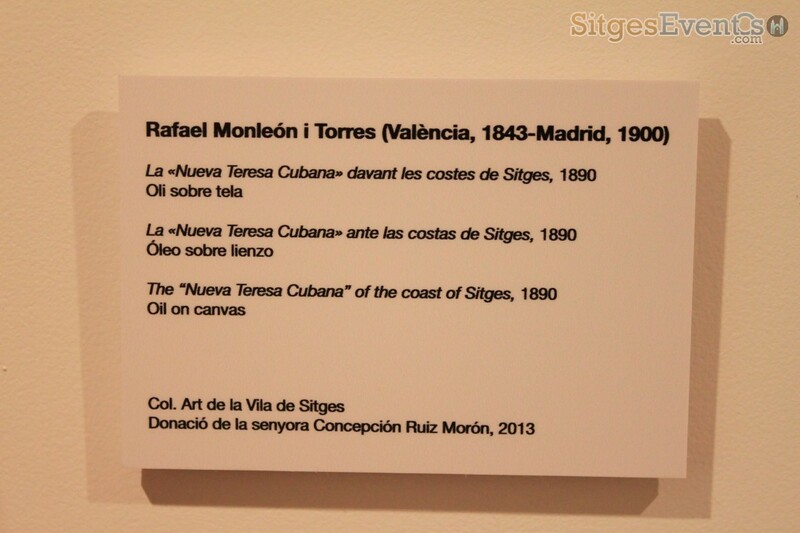 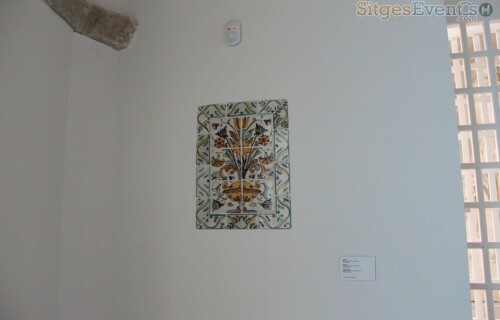 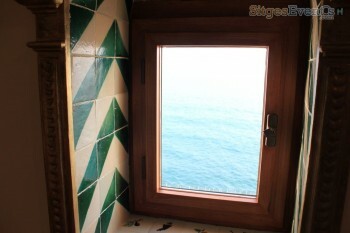 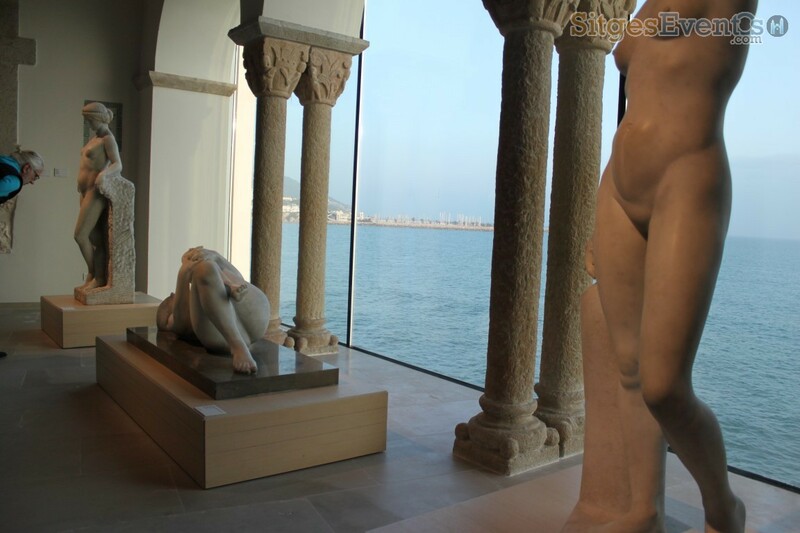 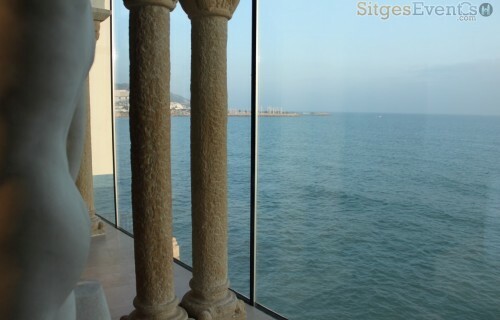 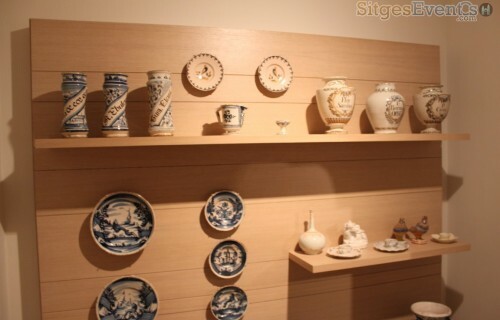 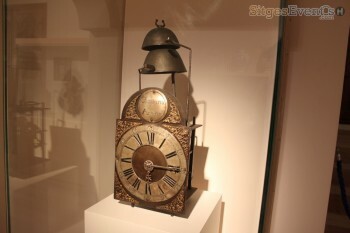 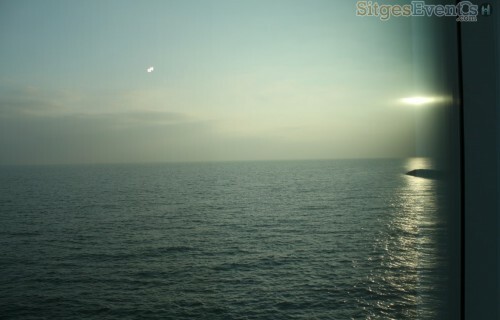 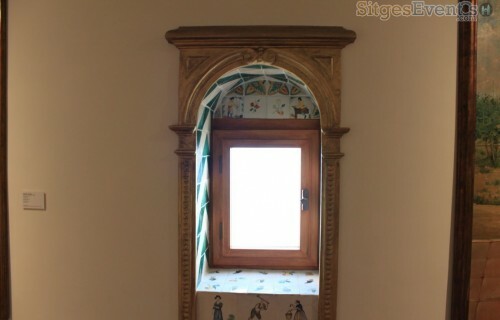 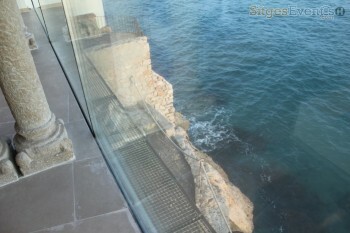 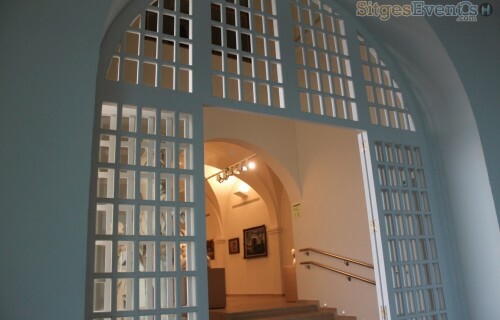 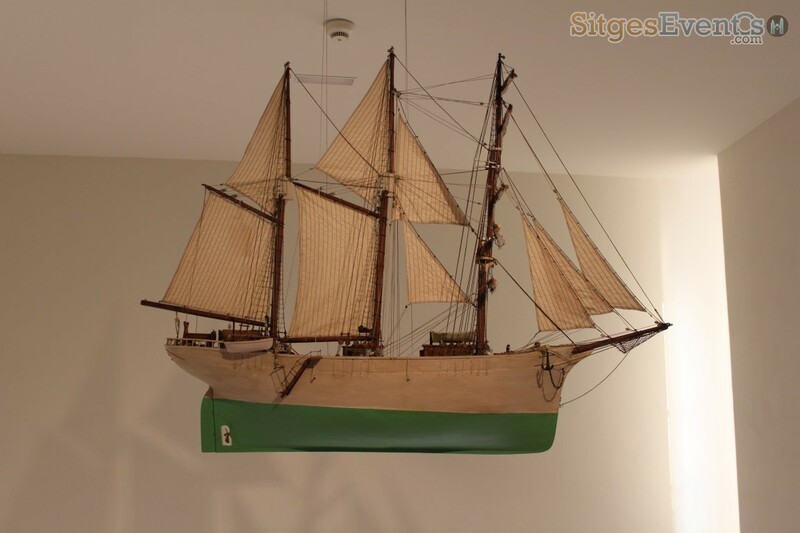 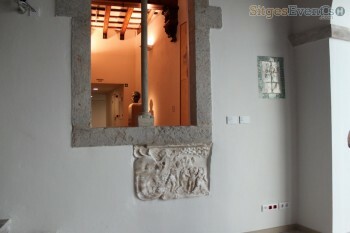 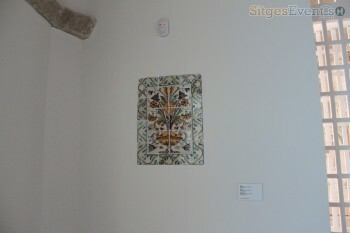 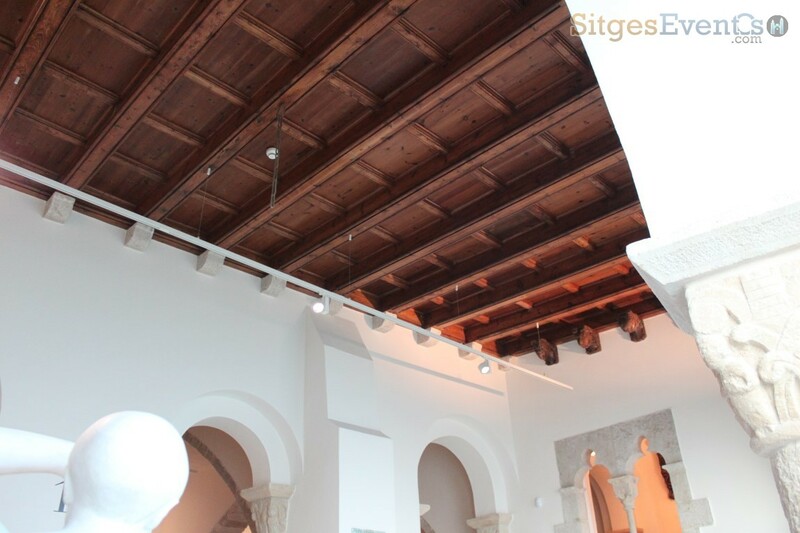 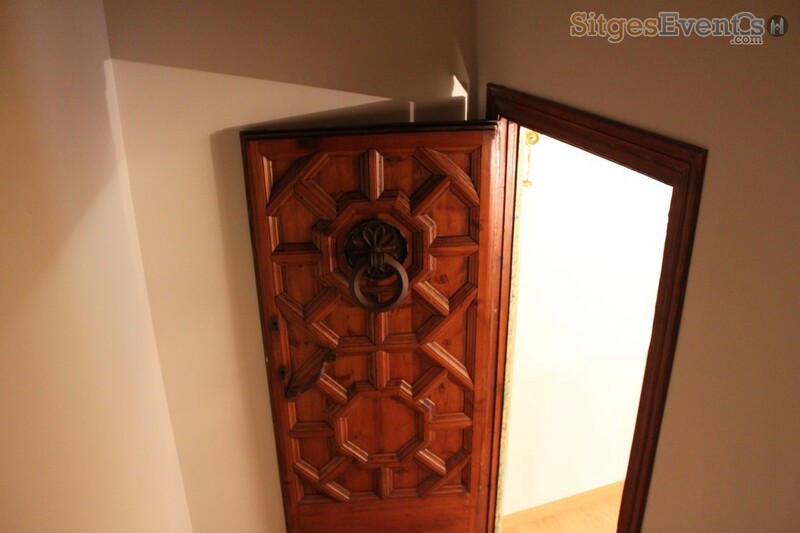 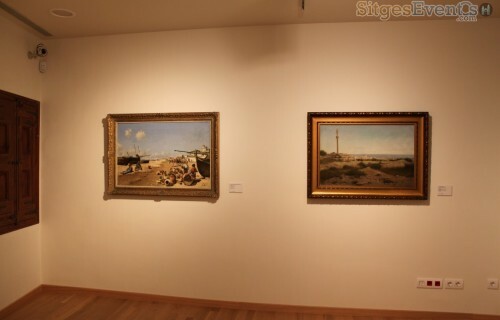 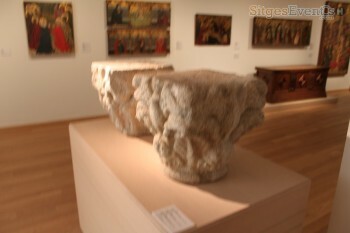 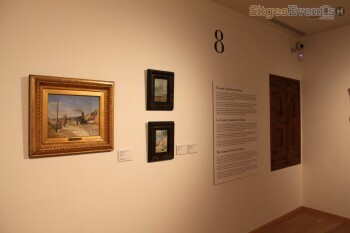 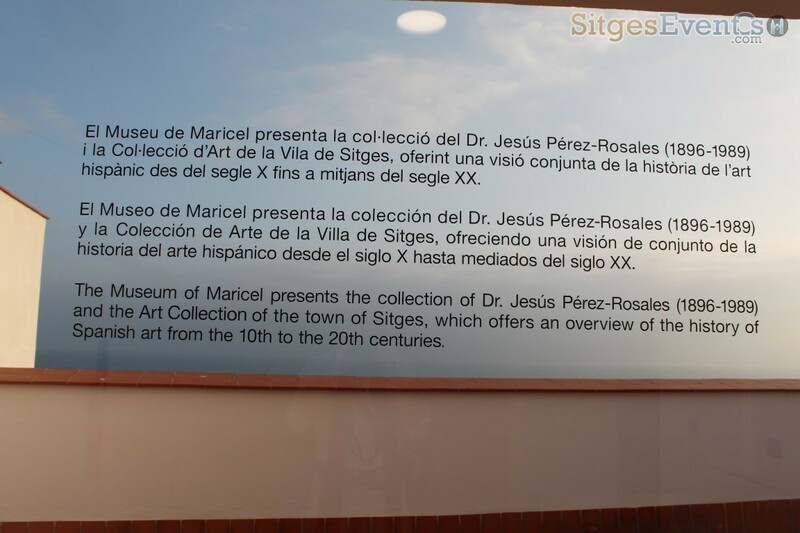 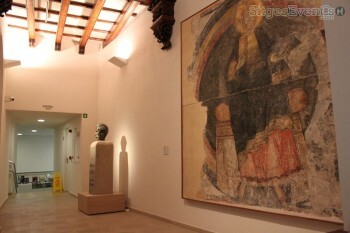 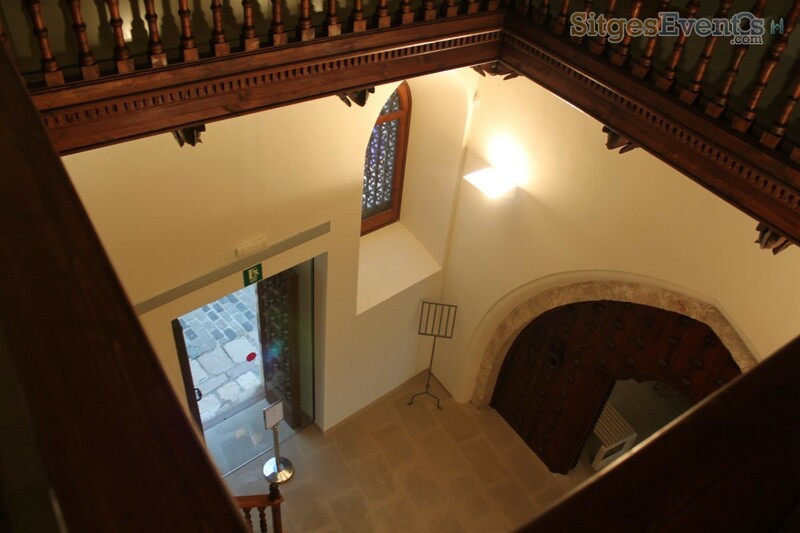 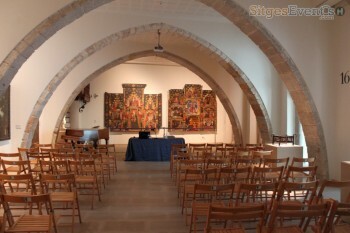 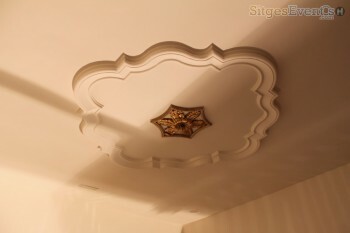 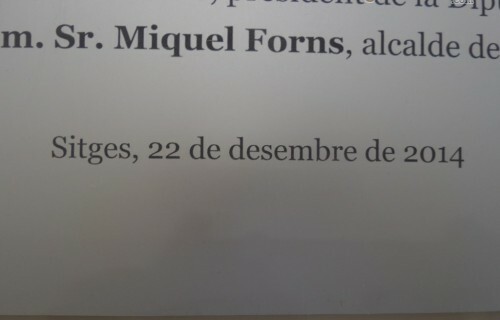 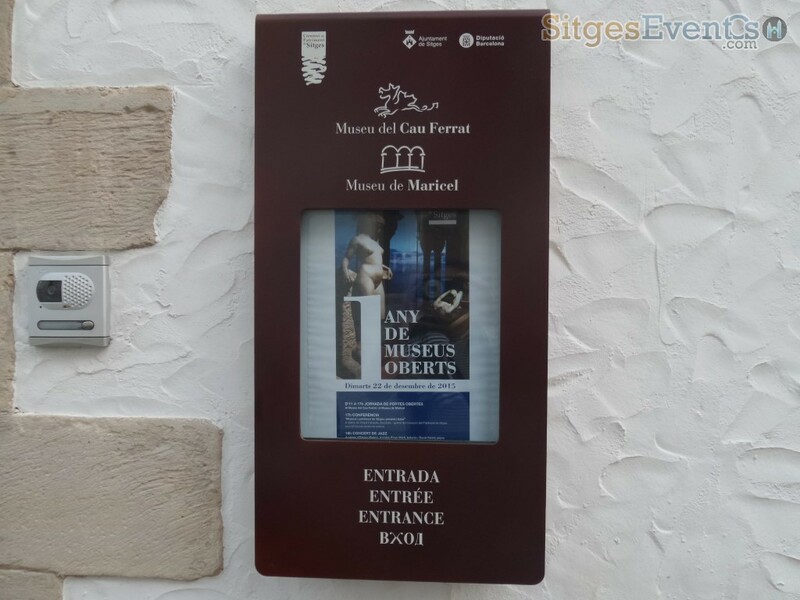 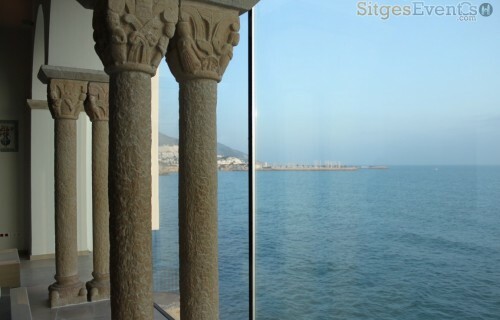 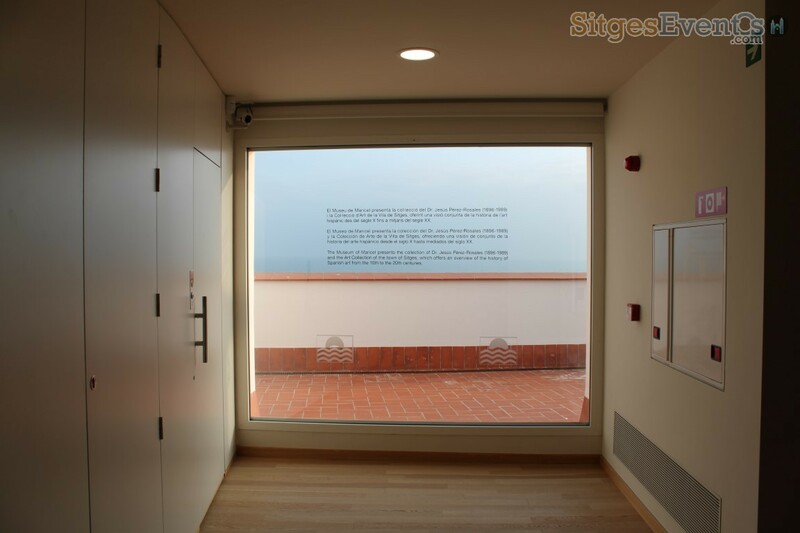 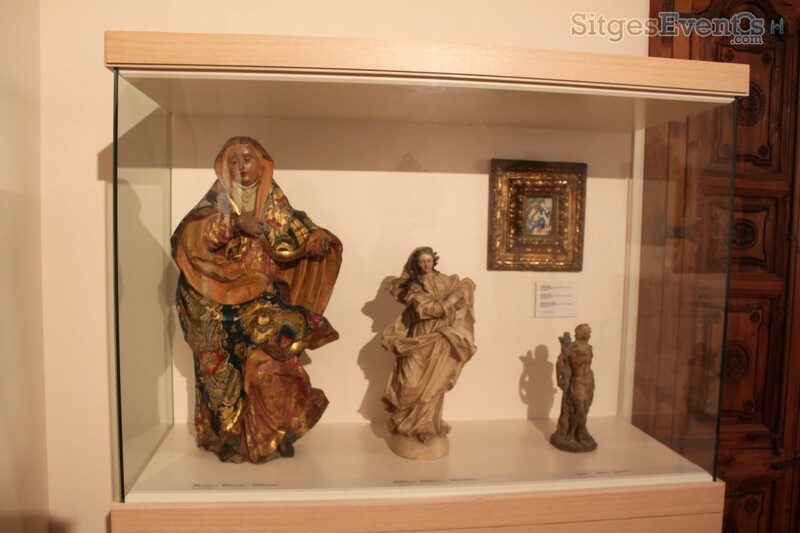 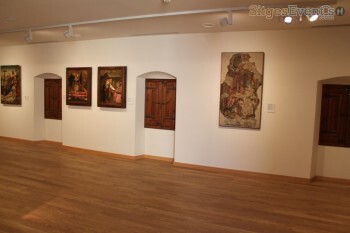 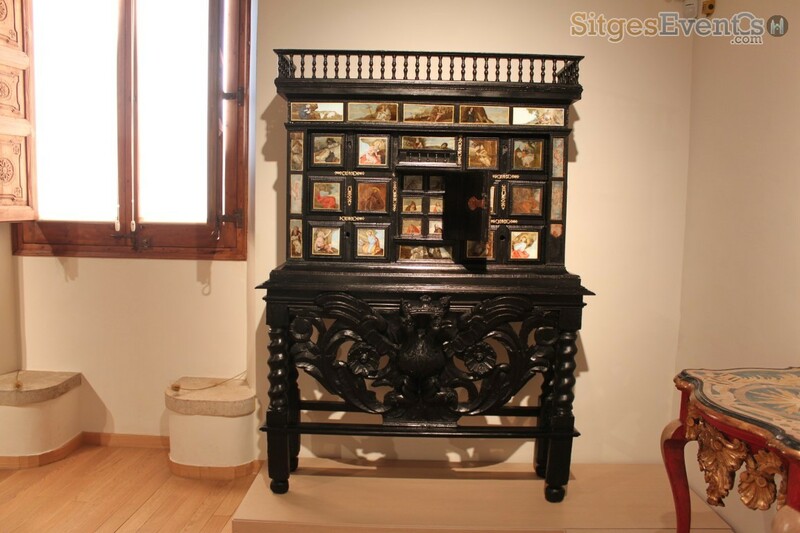 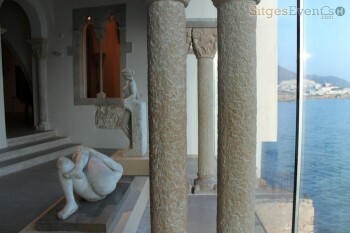 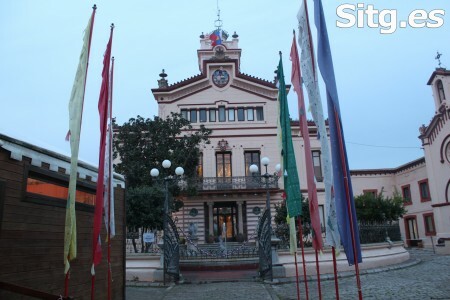 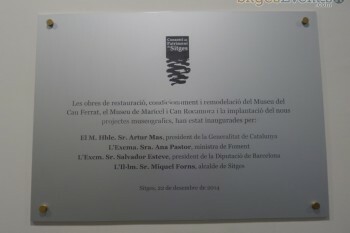 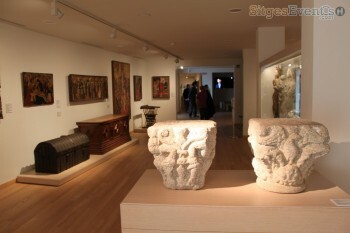 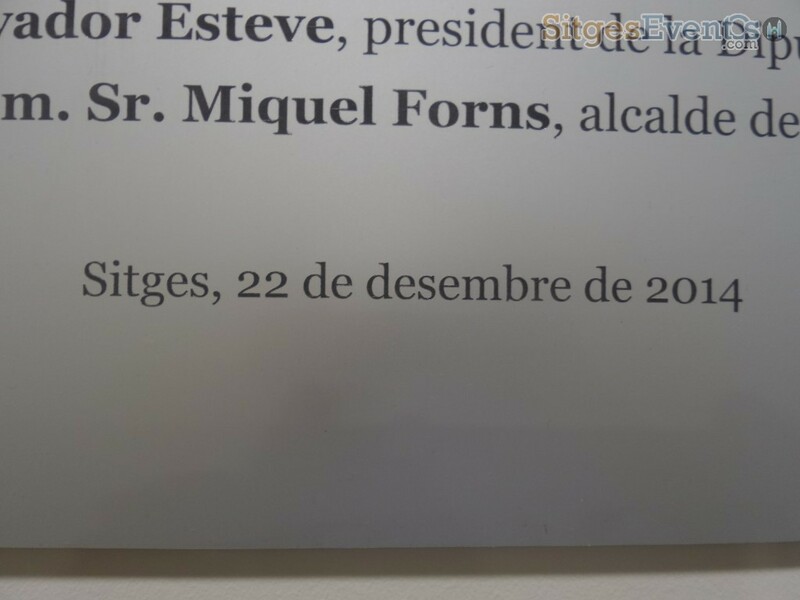 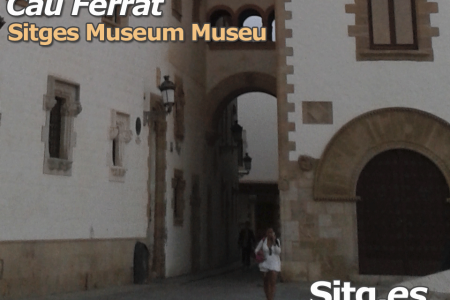 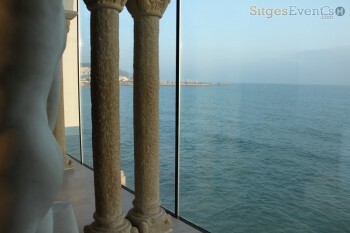 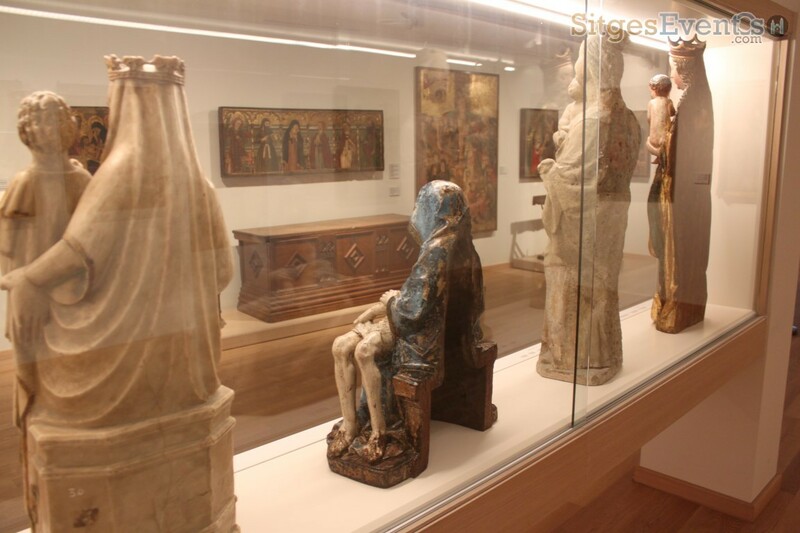 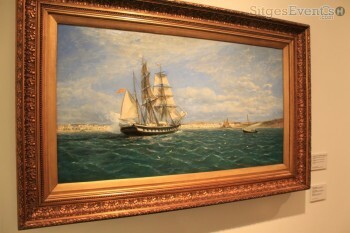 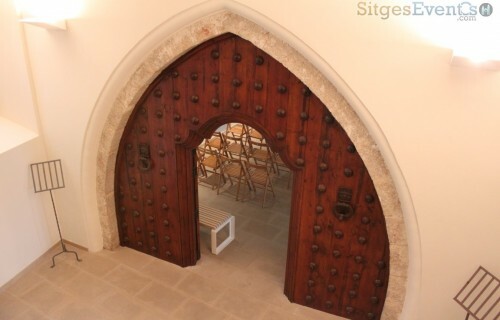 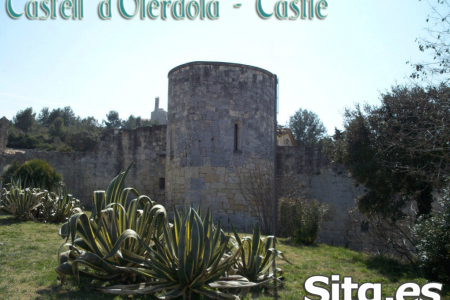 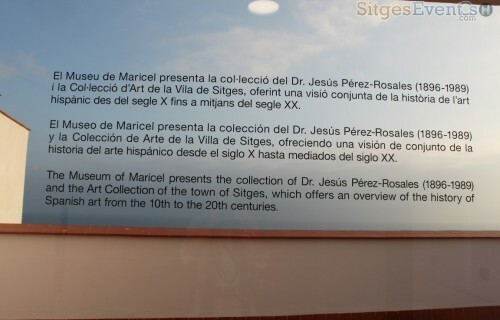 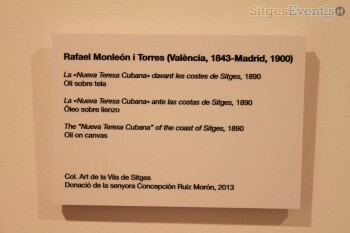 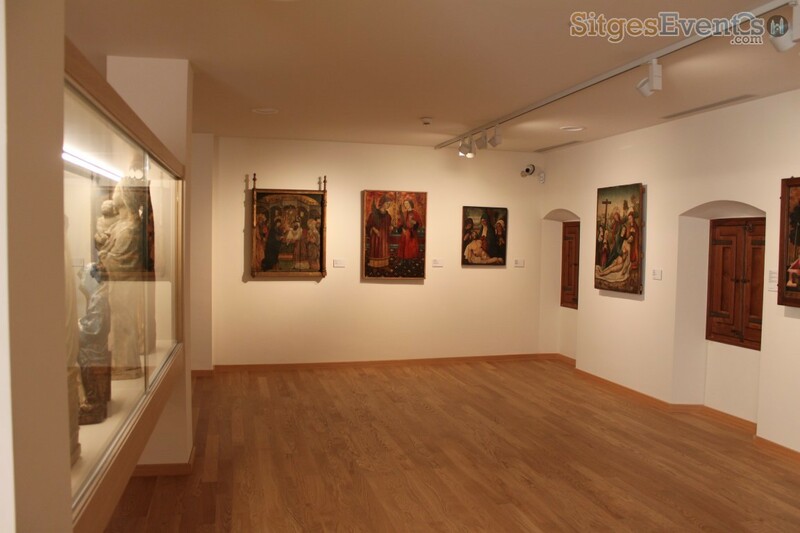 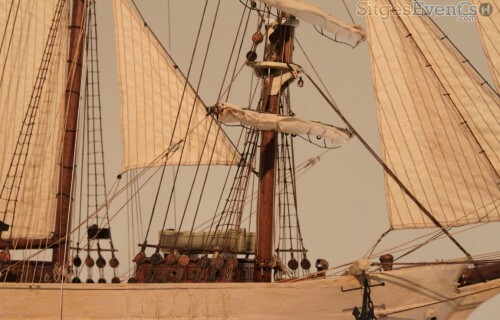 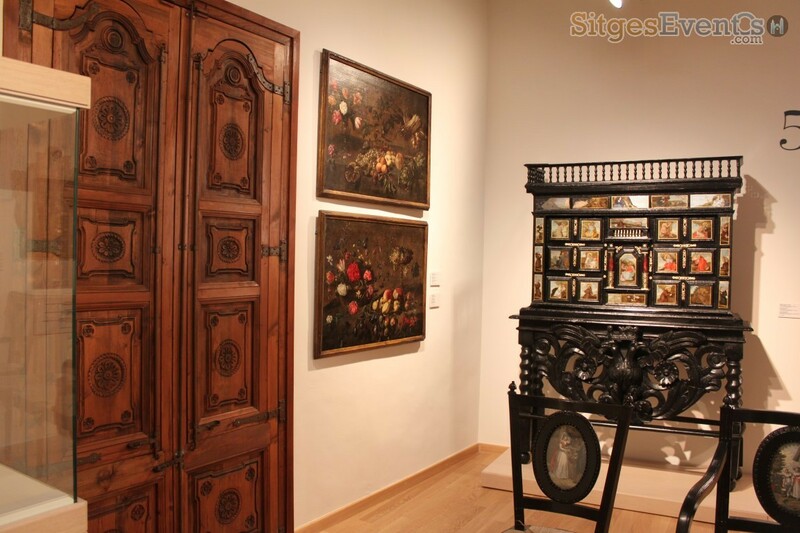 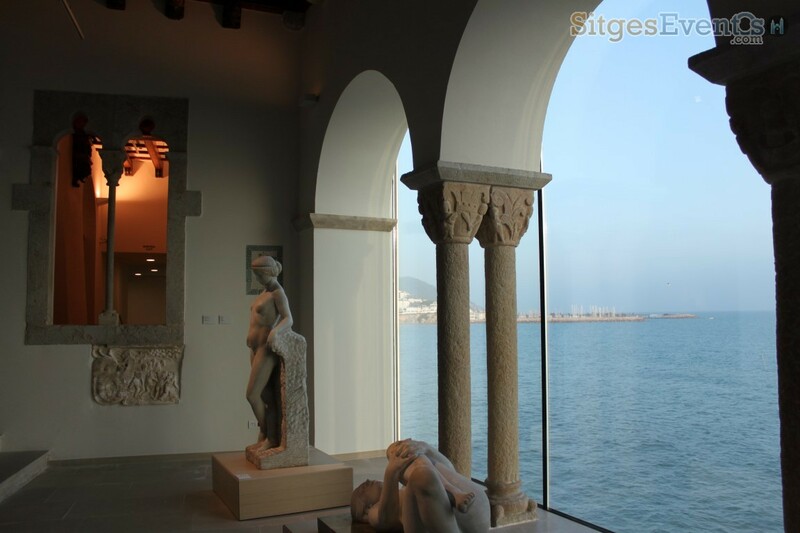 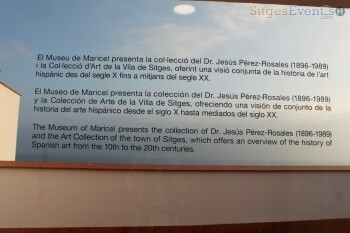 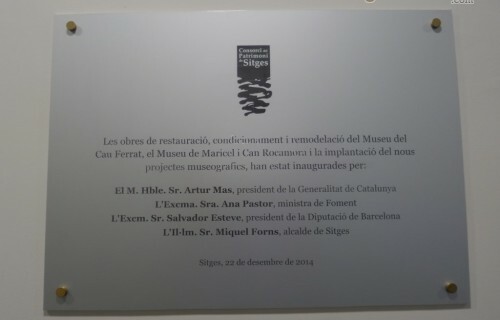 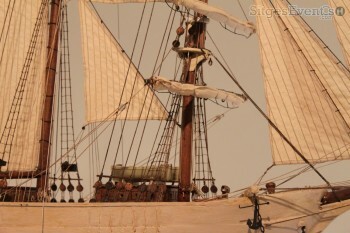 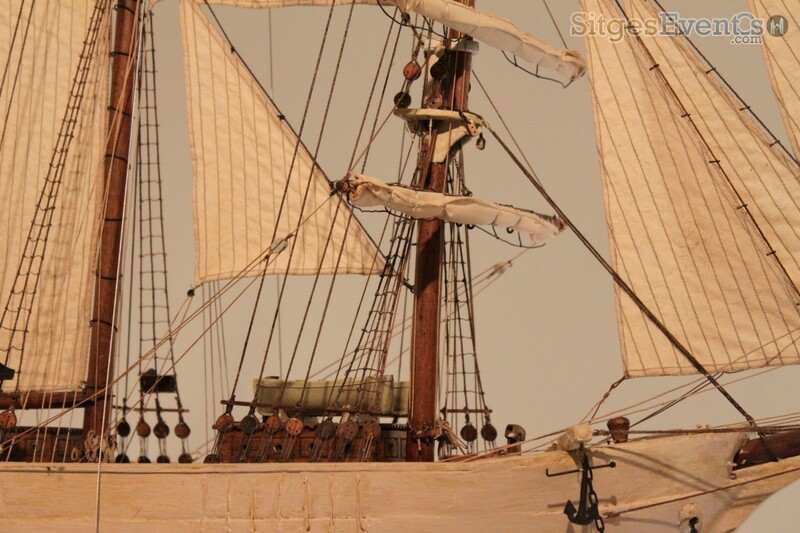 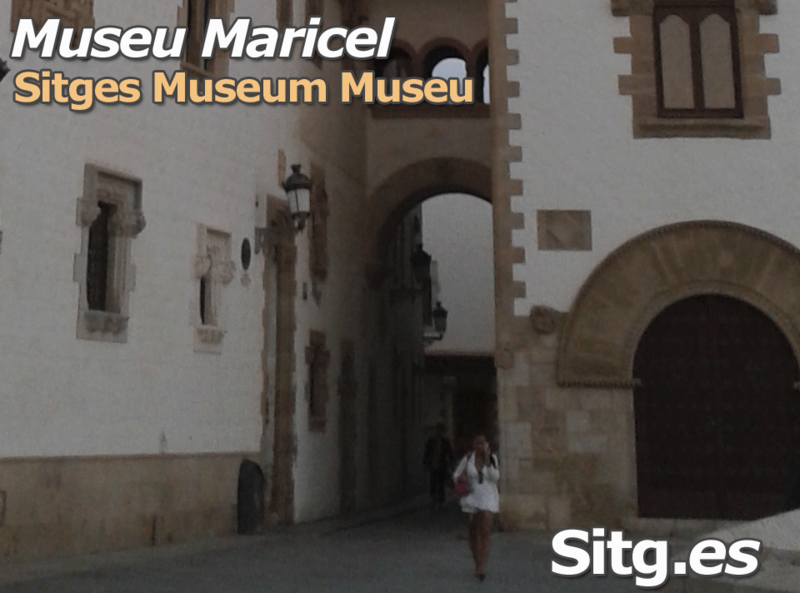 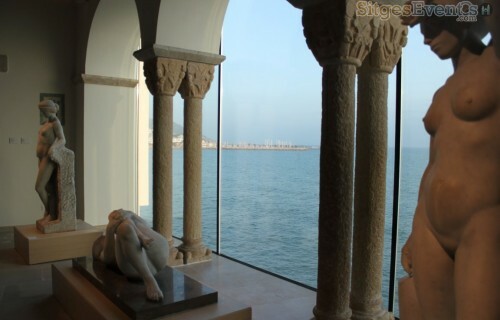 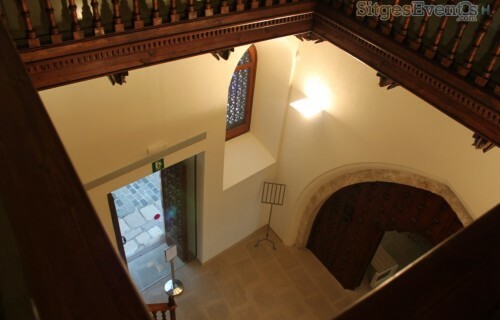 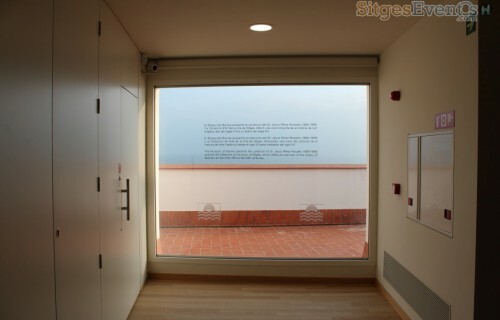 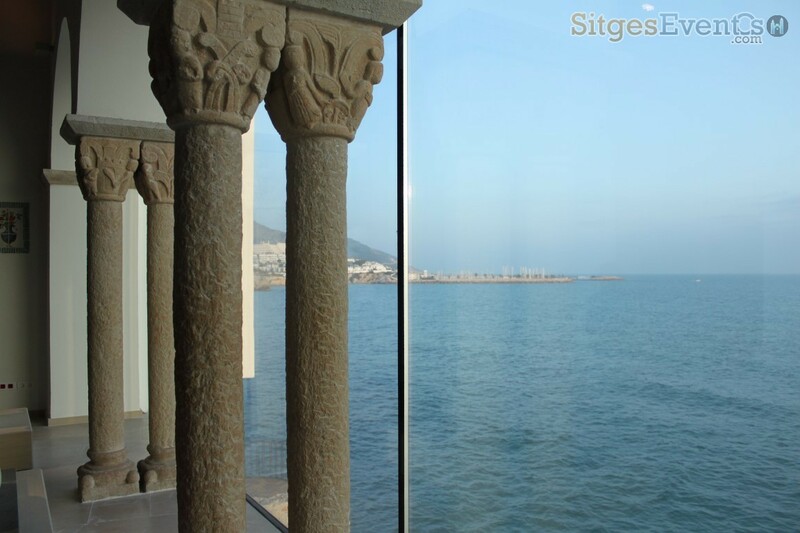 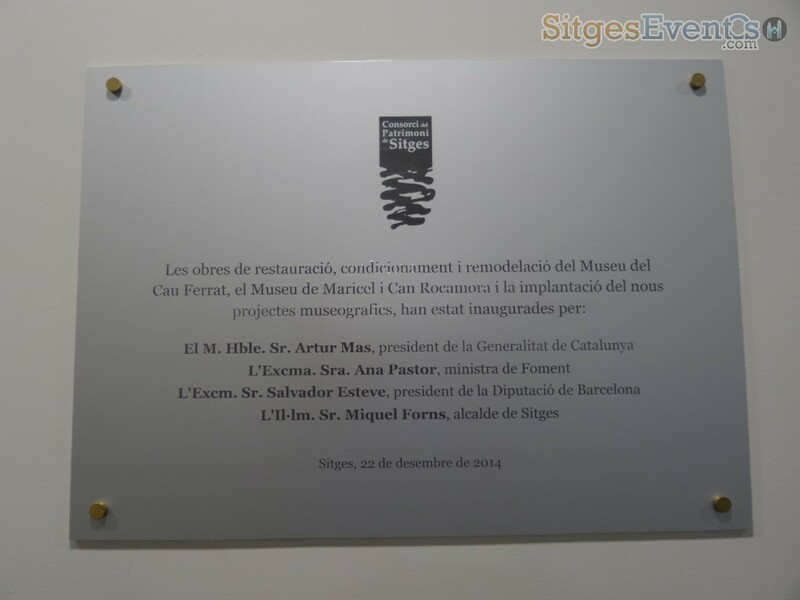 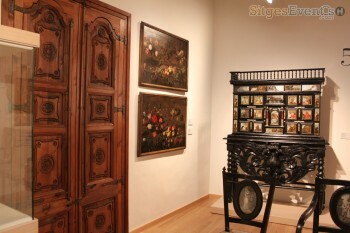 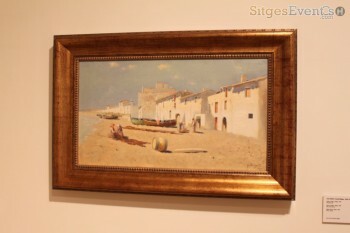 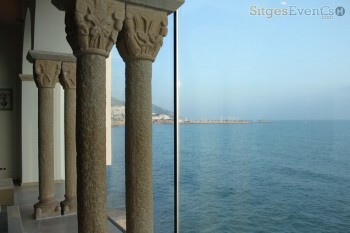 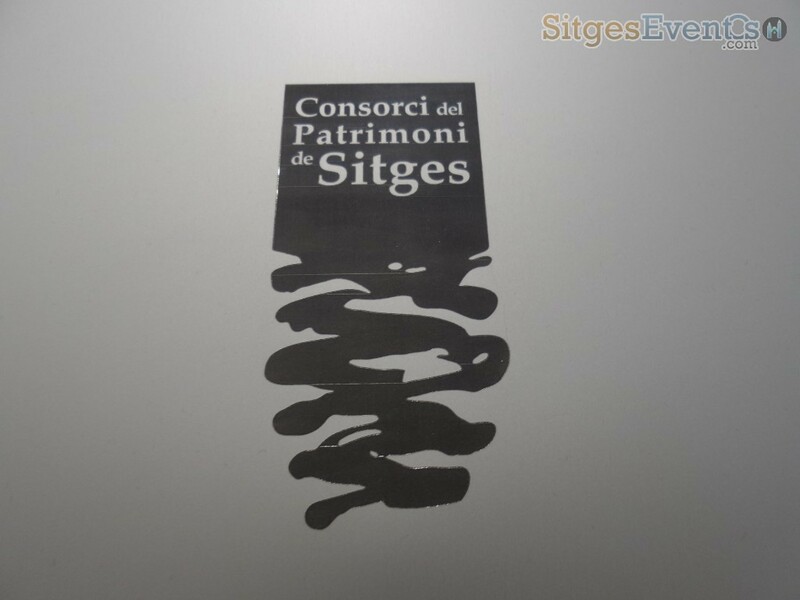 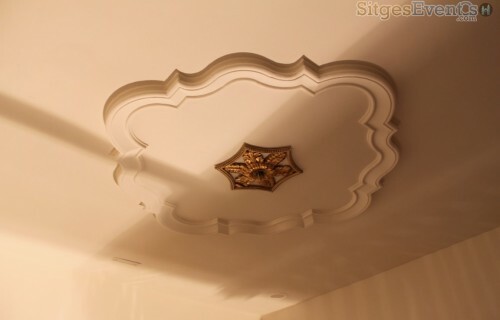 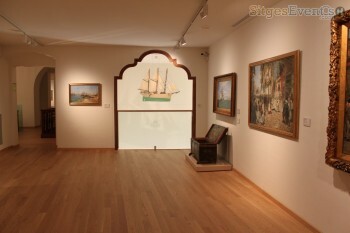 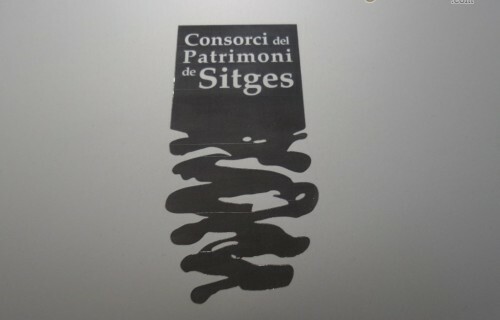 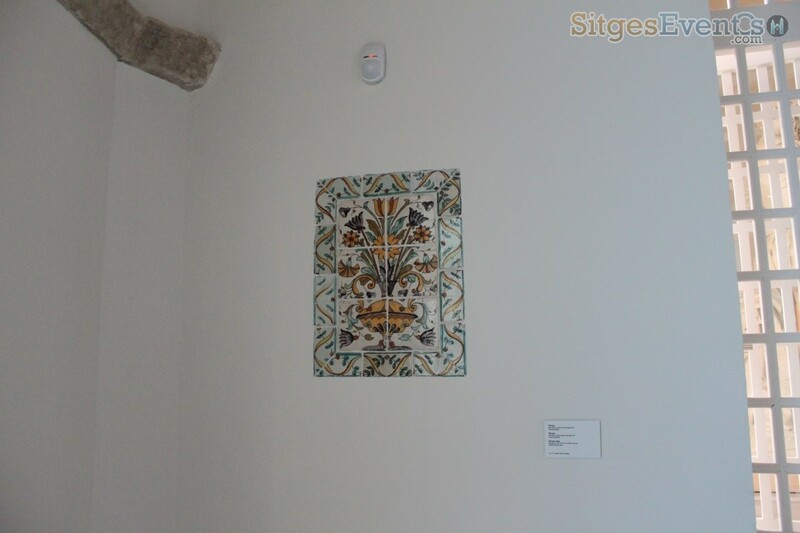 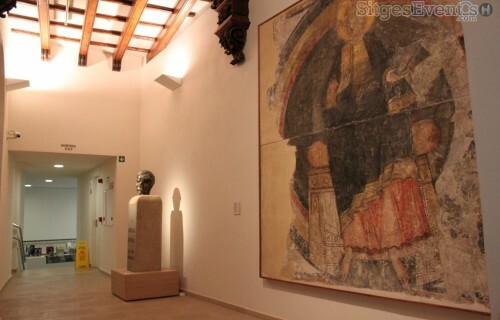 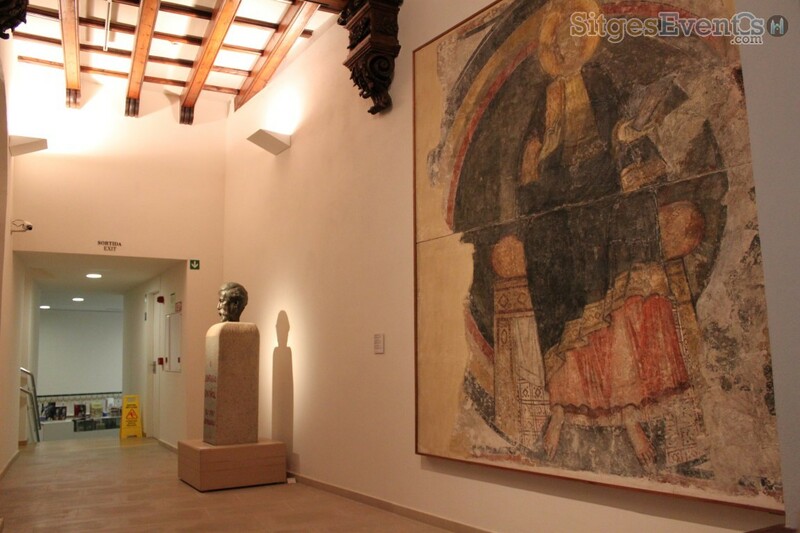 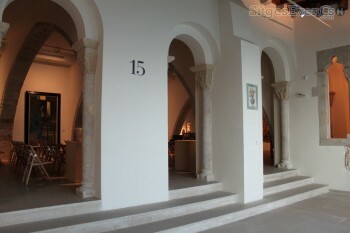 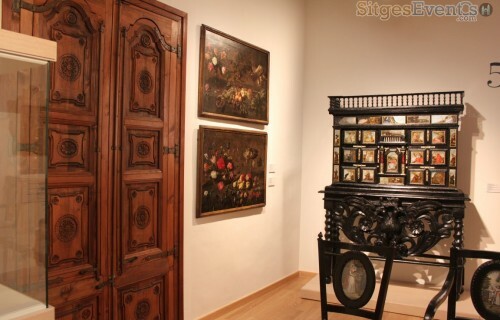 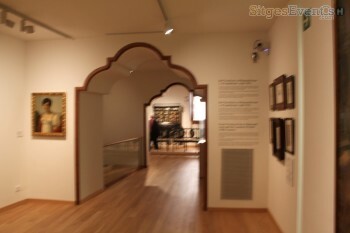 Two of the museums in Sitges, The Cau Ferrat and The Museu Maricel, are currently closed for remodelling. 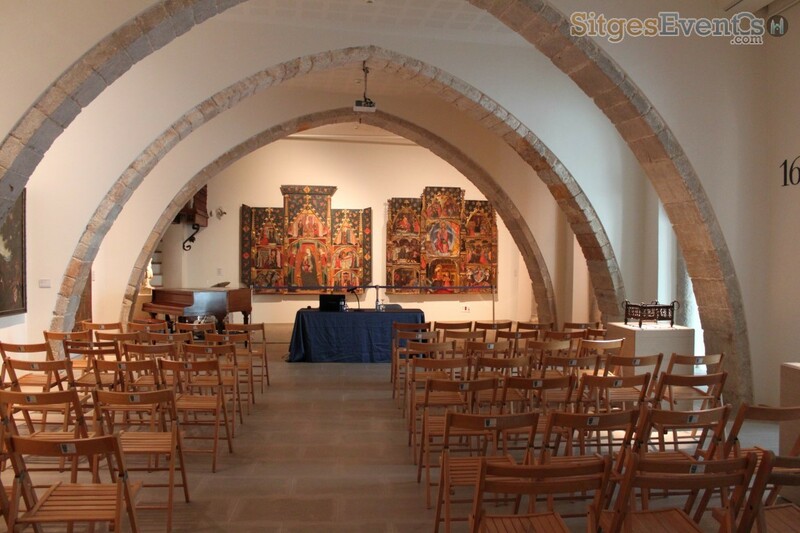 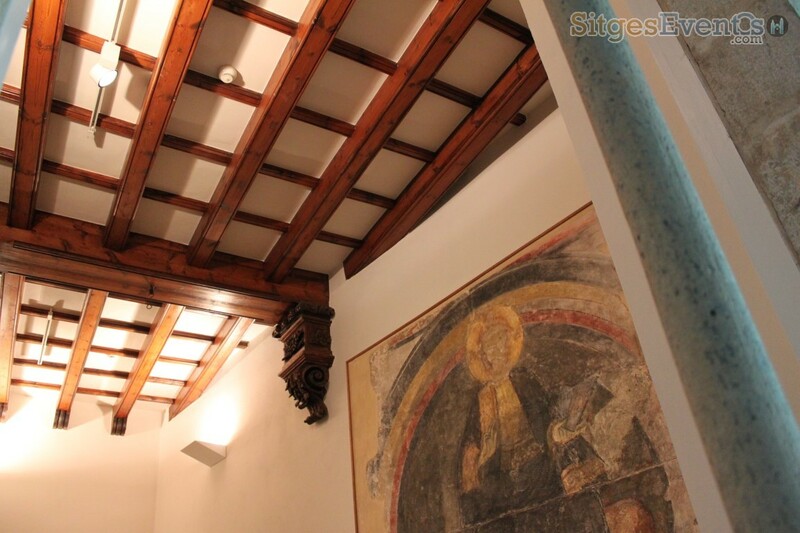 Houses Dr. Pérez-Rosales’ collection with Romanesque, Gothic, Renaissance and Baroque works. 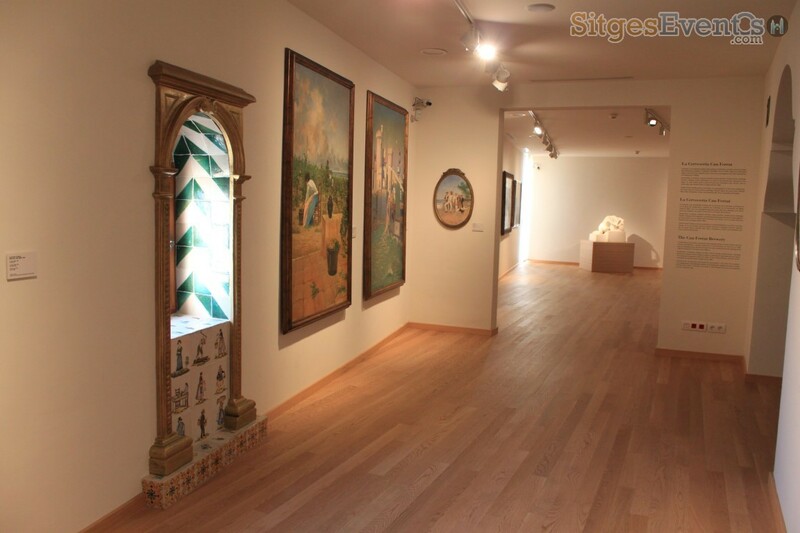 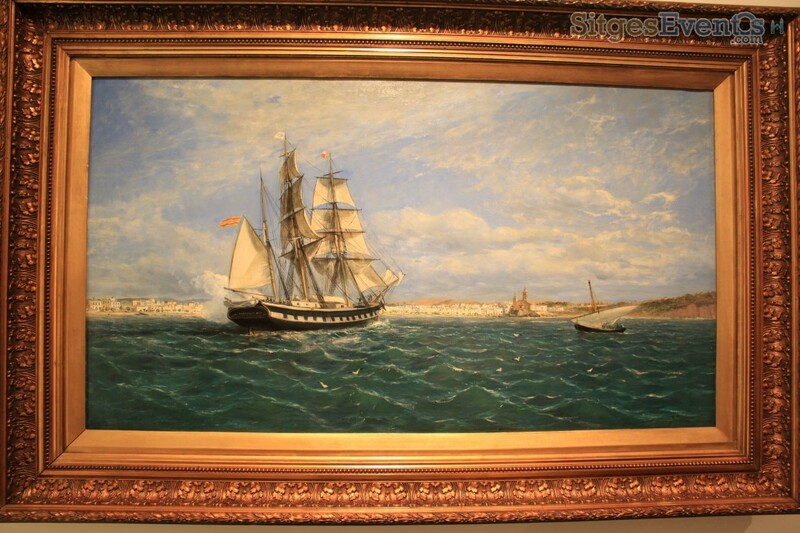 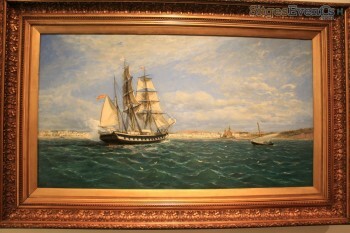 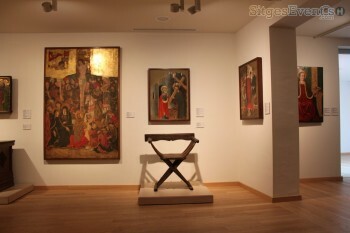 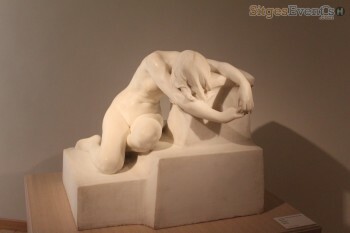 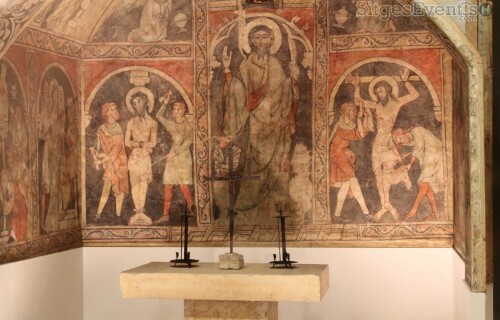 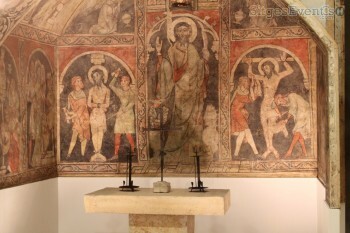 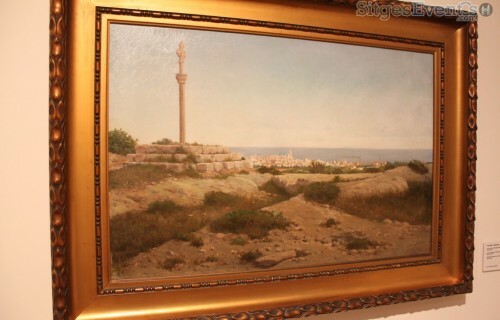 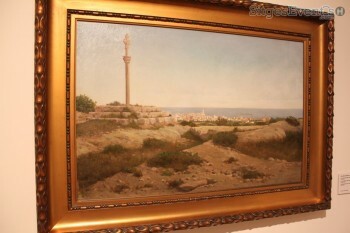 Also on exhibit are Catalan Modernista and Noucentista sculptures, along with mural paintings by Josep Maria Sert. 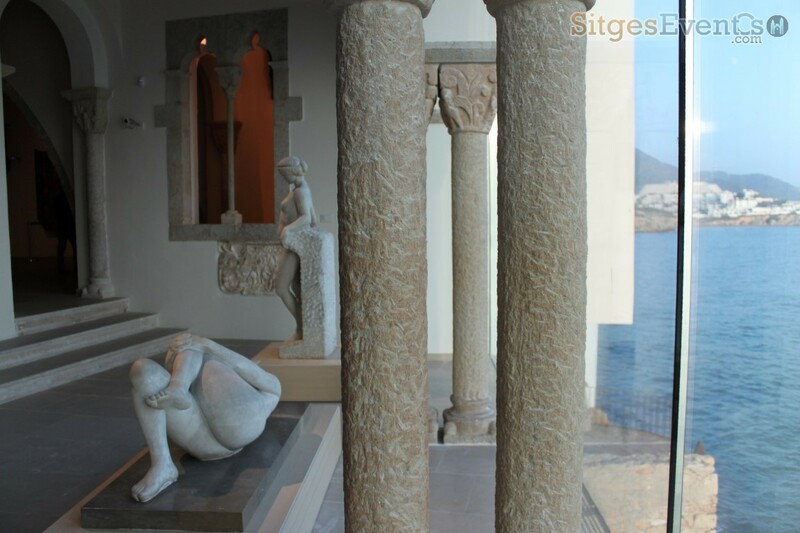 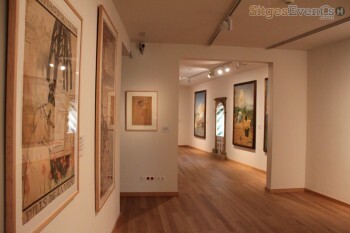 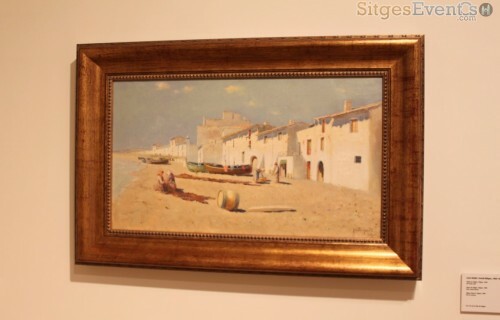 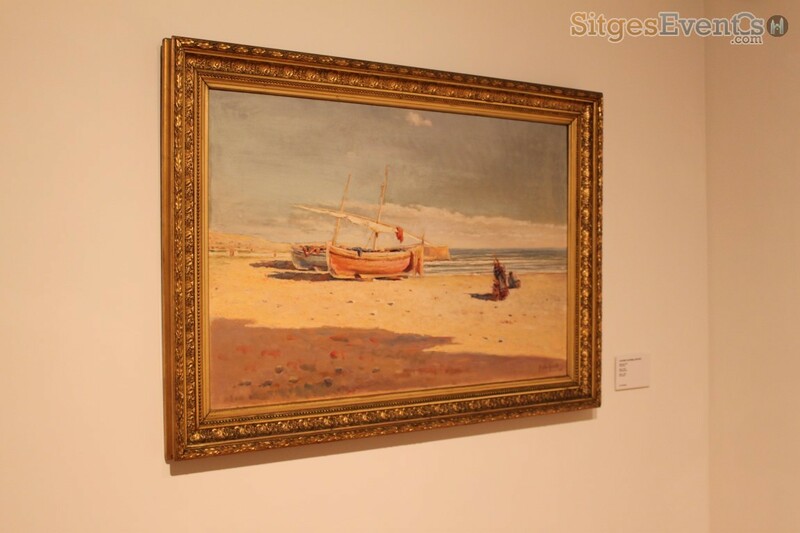 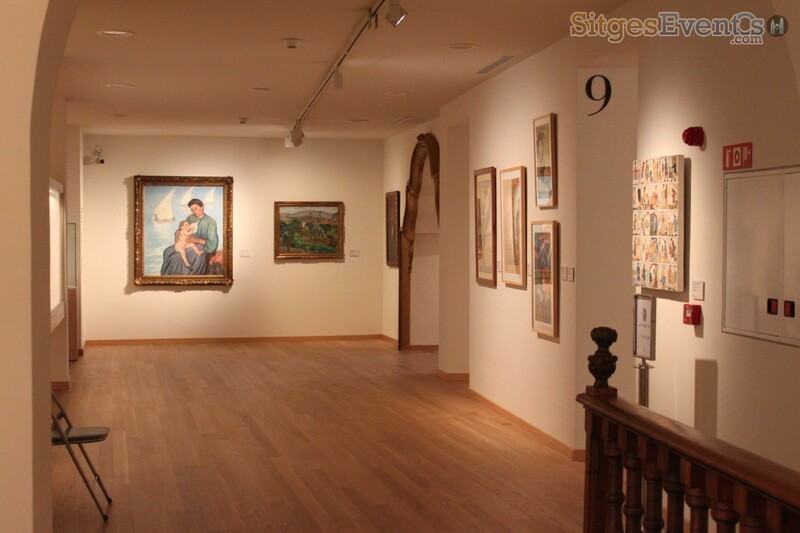 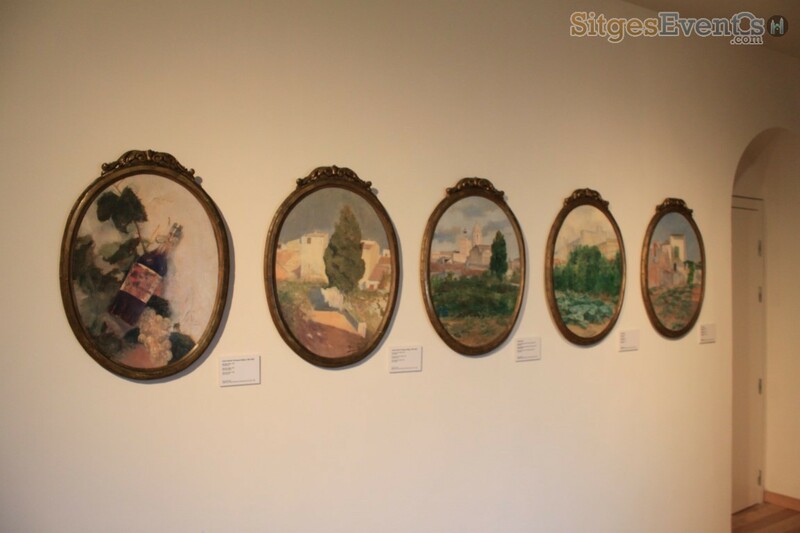 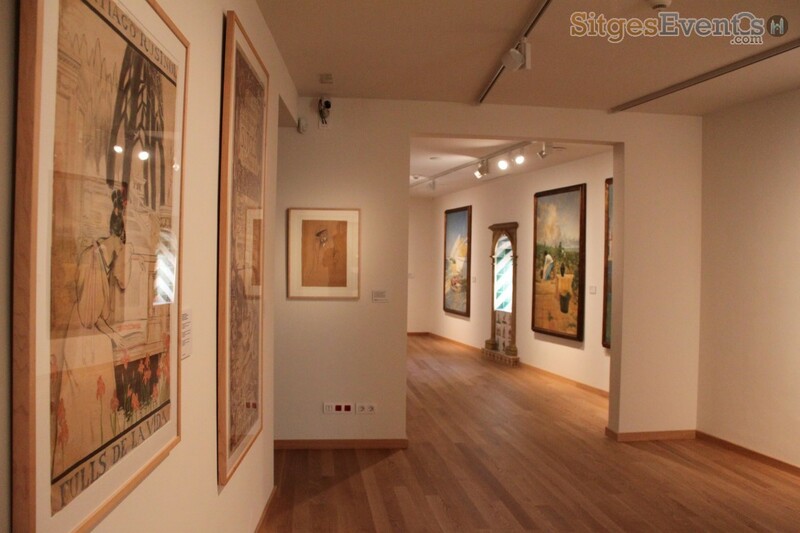 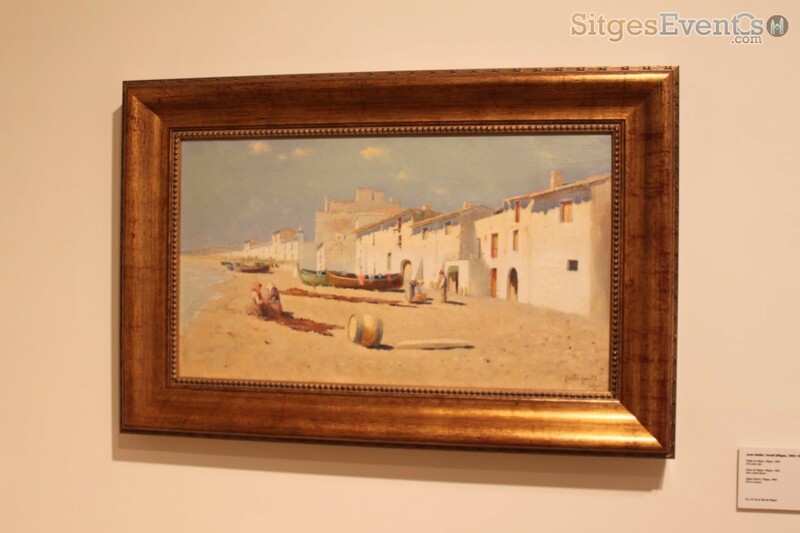 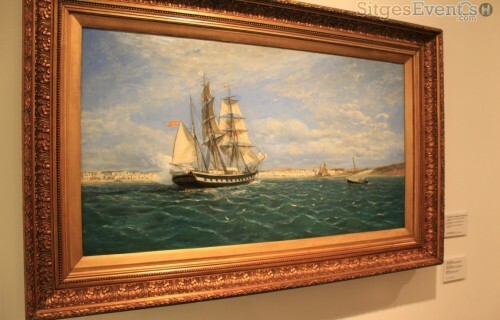 On the second floor you’ll find the Modern Art Gallery (Rusiñol, Casas, Utrillo, Pruna, etc) and the Emerencià Roig maritime collection. 6 fabric panels by Josep M. Sert, representing the First World War.